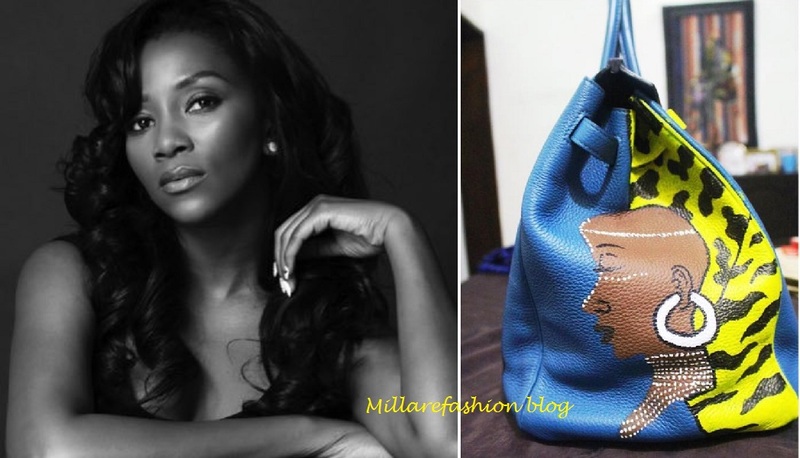 Nollywood actress and style star Genevieve Nnaji recently got her Hermes Birkin bag customised by Nigerian Artist, Fred Aghuno. 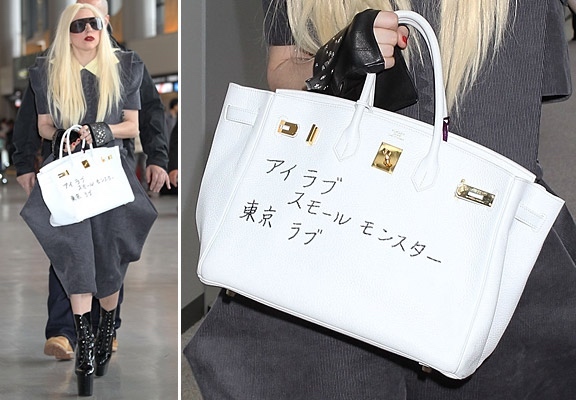 The artist painted the side profile of a bald African woman wearing white hoop earrings on the blue luxury bag.Genevieve Nnaji joins by this act joins the league of international glamazons, for instance, Khloe & Kim Kardashian, Lady Gaga, Rita Ora et al, who also irreverently customised their ridiculously expensive Hermes Birkin bag with personal quotes, art or emojis. 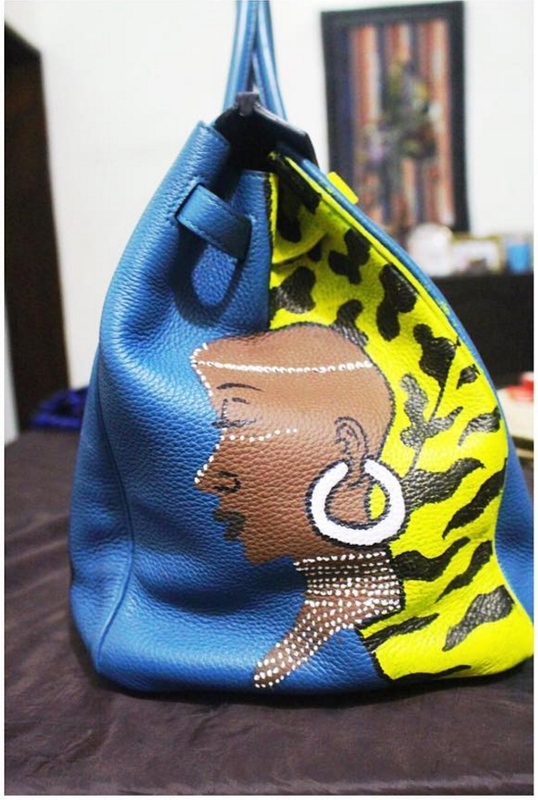 I love the fact that Genevieve customised hers proudly African!